The perfect gift for any Disney lover! 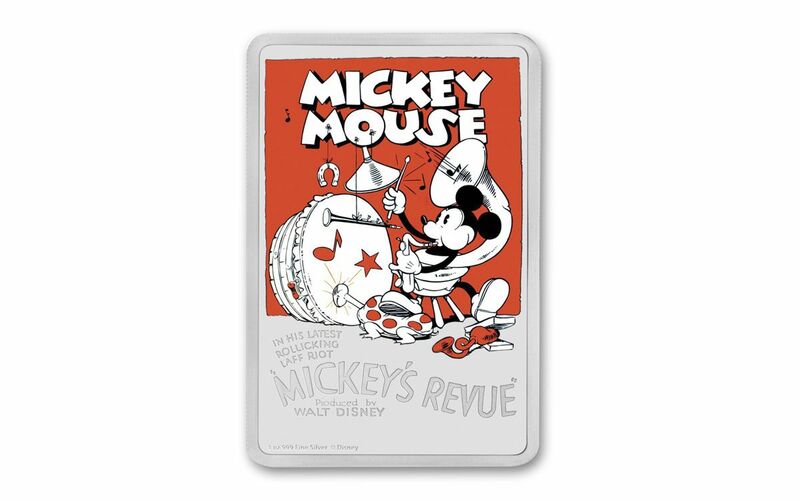 This fantastic rectangular proof features the original poster for the 1932 Disney animated short Mickey’s Revue, featuring the first appearance of the lovable dog who would become Goofy! 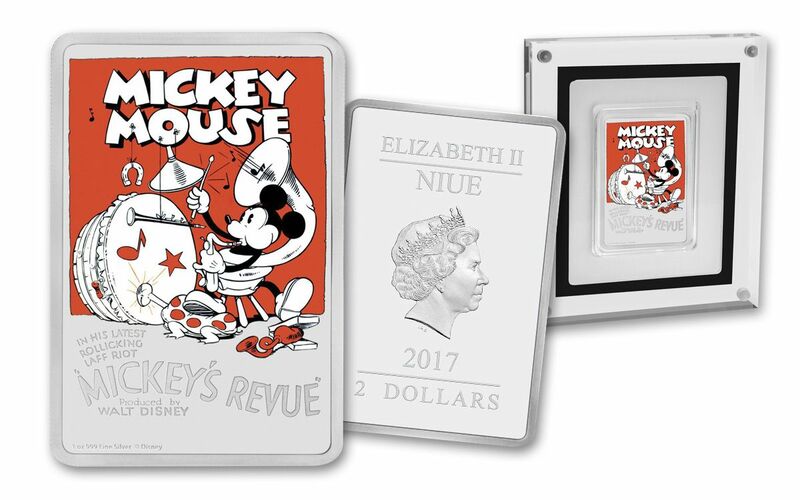 Struck in a full ounce of 99.9% silver, this $2 legal-tender proof features a colorized reverse displaying Mickey doing his best as a one-mouse-band. 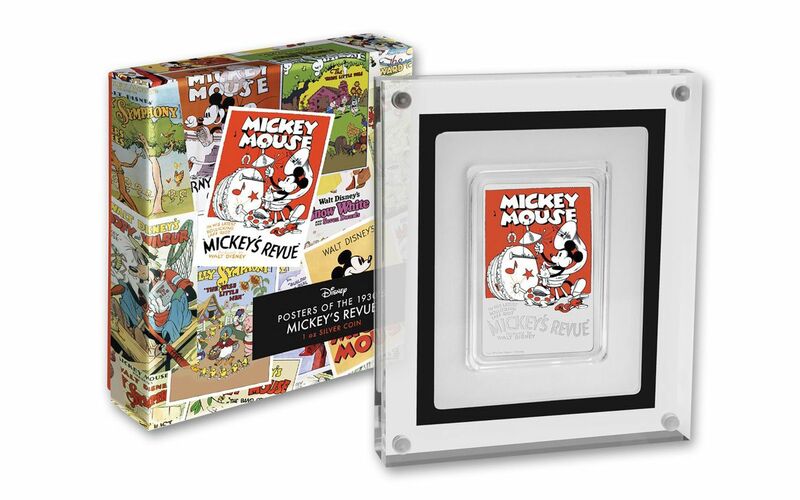 Disney collectibles are always hot items, and this one comes ready to display in an acrylic case that’s perfect for viewing. 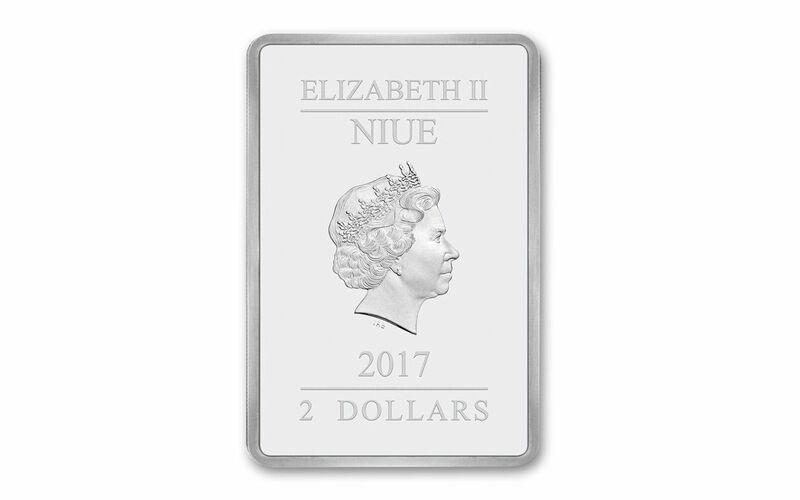 This is one revue you won’t want to miss -- order yours now!